With the emerging fashion trends over the past few years, footwear is a matter of concern for Indians specially the youth becoming an important part of the overall appearance. The Footwear Industry in India has seen tremendous growth and investment from foreign companies which have tremendously captured the Indian Market. India is itself one of the most leading shoe manufacturers of the world and also, one of the leading leather exporters of the world. People are now aware of what kind of footwear they want, it has to be comfortable as well as appealing and stylish. Here is a list of the most prominent players in this Industry, the best branded footwear stores in India for both men and women. Bata India is the largest retailer and leading manufacturer of footwear in India and is a part of the Bata Shoe Organization. Incorporated as Bata Shoe Company Private Limited in 1931, the company was set up initially as a small operation in Konnagar (near Calcutta) in 1932. The Company went public in 1973 when it changed its name to Bata India Limited. Today, Bata India has established itself as India’s largest footwear retailer. Its retail network of over 1200 stores present in good locations. Bata’s smart looking new stores supported by a range of better quality products are aimed at offering a superior shopping experience to its customers. Mochi is a leading Indian footwear brand. It stocks a huge collection of men and women shoes styled by different brands. Since its inception in Bangalore in 2002, Mochi today has various stores in number of cities across India and introduces an average of 100 new styles every week across the country. Mochi, the shoe shoppe, now has 52 outlets across 31 cities. The store also offers a range of handbags, mobile cases, belts, socks, Collonil shoe care and Dr. Scholl foot-care products. In the year of liberation, 1947, a lone shoe store opened its doors to the public in Colaba, Mumbai. 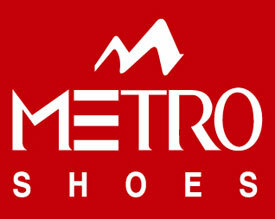 Metro Shoes, the brand, is now a household name in India. Over the past six decades, the company and the brand have become synonymous with unmatched quality, skilled craftsmanship and high-fashion products in the footwear industry. Metro Shoes has a countrywide network of exclusive Metro showrooms at more than 72 prime locations across 32 plus cities in India designed to bring customers, an extensive collection of footwear and accessories to suit their every need. Metro began as a single outlet in Mumbai and has today grown into a nationwide chain of exclusive fashion footwear and accessories stores for the entire family. 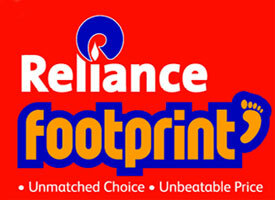 Reliance Footprints is the Footwear chain of Reliance Industries Limited. It has stores in various cities throughout India. The collection at Reliance Footwear, the products and services are appreciated by the customers for the unmatched choice at unbeatable price. The specialty store offers a range of over 20,000 products catering to the entire family’s needs. Its stores offer over 50 international, national and Reliance brands. Apart from footwear, Reliance Footprint also houses an array of accessories from various brands for purses, leather accessories, bags, footcare products etc. Citywalk shoes started with its first branch at Colaba in 1986. Thereafter. with its consistent efforts in maintaining the good quality, variety & excellent customer satisfaction Citywalk came up with various other stores in the country. With definite plans of expansion Citywalk hopes to have many more branches in all the metros and mini metros across the country. Citywalk provides its customers with an array of class-apart shoes keeping in mind their needs, comfort and lifestyle. Citywalk foresees diversified opportunities for itself in the near future. Over a period of fifteen years it has established itself as a premium lifestyle brand and enjoys good brand equity in the market. Today Citywalk is a brand to reckon with. A name now synonymous with the shoes that India walks in, Khadim’s made giant strides into the world of footwear in the year 1965 when Mr. Satya Prasad Roy Burman took over a small shop in Chitpur and turned it to a major brand. With its foray in footwear retailing in 1993 Khadim’s has scripted one of the biggest success stories in the footwear industry. 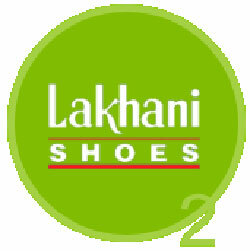 Khadim’s is the 2nd largest footwear retailer in India in term of organized footwear retailing. It has more than 625 exclusive retail outlets across the country. And by far, the leading shoe retailer in the East. In the era of globalization Khadim’s loves to face challenge, keeps on revising its own capability upwardly and has a passion for excellence. Woodland’s parent company, Aero Group, has been a well known name in the outdoor shoe industry since the early 50s. It quickly gained popularity due to its unwavering commitment to quality and the introduction of the latest designs. Today, Aero Group is a highly integrated firm with its own leather tanning units and production facilities in India, Sri Lanka, Bangladesh, China, Vietnam, Indonesia, Malaysia, Philippines, Macau and Canada. In 1992, Aero Group launched Woodland and it immediately caught the attention of outdoor enthusiasts. The inspiration behind Woodland’s success is undoubtedly the outdoor adventurer. After all, the adventurer is always looking for new ways to push the limits and to discover something new. Today, the group is the largest manufacturer of beach slippers in India with a production capacity of 40 million pairs per year. Also, it is the largest manufacturer & largest exporter of canvas and vulcanized shoes in India, with a production capacity of 3.5 million pairs per year. Lakhani Armaan group is the largest producer of Sports Shoes, PU Injected Sports Shoes, PVC Injected Sports Shoes and Leather Shoes with a total capacity of 5.4 million pairs per year. It also manufactures high fashion ladies and gents leather shoes for the European Union Market. The eminence of the company, in the International Footwear Industry, is apparent from the fact that it has been manufacturing sports shoes for the global sports apparel manufacturing giant, adidas. Liberty Shoes has been fashioning footwear, for well over 50 years now, for the style- conscious people around the globe. Currently with an annual turnover exceeding U.S. $150 million, Liberty Shoes figure amongst the top 5 manufacturers of leather footwear of the world producing more than 50,000 pairs a day using a capacity of more than 3 lacs square feet of leather per month. Liberty dresses up the feet of the fashion-driven and quality-seeking customers in more than 25 countries, which includes major international fashion destinations like France, Italy and Germany, with a worldwide distribution network of 150 distributors, 350 exclusive showrooms and more than 6000 multi-brand outlets.